Learn about the brave dogs who help guard livestock around the world! Wolf populations in the Rocky Mountains have reached recovery goals due in large part to an environmentally friendly method of predator control now in use on western ranches: livestock protection dogs (also called livestock guardian dogs). Although these dogs have been used around the world for thousands of years in primitive systems of livestock production, it’s only in the past four decades that they have been put to work in America in a systematic manner. Guardian dogs were imported to the United States, and their use has allowed the expansion of predator populations into areas where the animals were previously subject to lethal control. The use of guardian dogs is typical wherever livestock may encounter predatorsfrom fox and coyotes, to wolves and grizzly bears. In Brave and Loyal, Cat Urbigkit tracks her journeys from a Wyoming sheep ranch to learn about working livestock protection dogs around the globe. 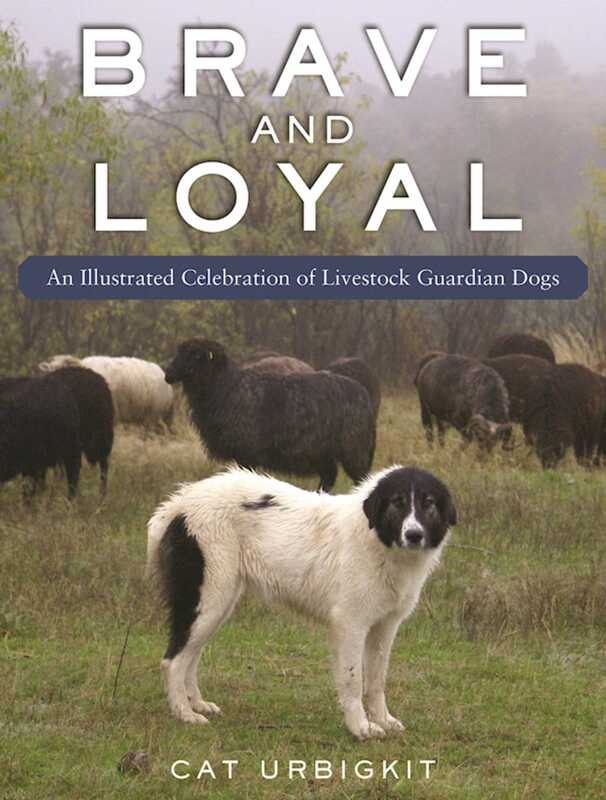 Using historic accounts, published research, personal interviews on four continents, and her own experience on western rangelands, she provides the reader an intimate look into the everyday lives of working livestock protection dogs. Brave and Loyal includes details on raising successful guardians, their behaviors, a discussion of breeds and historic use, an assessment of numbers for various predator challenges, the adoption and spread of programs to place guardians on American farms and ranches, problems and benefits associated with guardian dogs, predator ploys, and matching the dog to the predator challenge. Urbigkit’s work provides the best information on working livestock guardian dogs around the globe, accompanied by more than one hundred beautiful color photos.